On Good Friday 2016 a woman was hospitalised while protesting against the enforced removal of her church’s cross in Wenzhou, in the coastal Province of Zhejiang. She was knocked to the ground after a 100 plus strong demolition team – including armoured police and security guards carrying riot shields –at Shangen Church. Over the course of that week (Holy Week), authorities forcibly removed more than a dozen church crosses. The ongoing destruction of church property, which began in Zhejiang and spread to neighbouring Henan and Anhui Provinces, has been the most visual sign of China’s continued persecution of Christians. On the pretext of removing structures violating planning and zoning laws, churches have been served with orders, ranging from the removal of external crosses to the demolition of entire buildings. New May 2015 regulations heightened the problems, restricting the colour, size and location of crosses, and height of the buildings. Places of worship cannot exceed 24 metres (78 foot) in height; crosses must be inserted into the walls of the building – they cannot be on the top of buildings or steeples – their colour may not stand out, and their length cannot exceed one-tenth of the building. In April 2016 the three-story Island Head Christian Church building was demolished after authorities claimed it violated various regulations – including the position of its cross. By that time – April 2016 – more than 2,000 churches and crosses had already been demolished as part of the campaign. Authorities have introduced further measures at controlling the communities including installing video cameras to monitor their compounds. There has also been a spate of prosecutions associated with the campaign. In June 2016 a court in Zhejiang Province tried Christian Ji Qingcao for “the crime of obstructing government administration” for petitioning the Beijing government about the attempted demolition of Yazhong Church’s cross. Government efforts to assert increased control of Christian communities gained fresh impetus in April 2016 with a programmatic speech by China’s President Xi Jinping at a two-day national conference on how the Government should deal with religion. Recognising the influence of religious practice on society, he insisted on the need to “sinicise” religious life – i.e. assimilate it into Chinese culture – and “automotise” it – i.e. free it from foreign control – as he said religion can be a means of “foreign infiltration”. Just a few days later, new laws were passed regarding foreign NGOs, effectively restricting the work of Church-based aid organisations. This followed new rules being issued in 2015 issued banning Party members from being affiliated to any religious group. New attempts to bring Christianity and other religious groups in line with Communist party principles have resulted in increased persecution and various forms of increased pressure on the religious communities in China. “Officially” five religious communities are recognised: Buddhist, Taoist, Muslim, Catholic, and Protestant. Followers of these faiths are allowed to practise under the auspices of one of the state sanctioned ‘patriotic associations’. For Catholics this is the Chinese Catholic Patriotic Association (CPA) and for Protestants the Three-Self Patriotic Movement. These seek to control Christianity in line with Communist Party principles. But many worship outside of these official structures in what are often referred to as the ‘underground’ churches. While the regime does not technically outlaw ‘underground’ churches, they are not permitted to hold public religious services or carry out other activities. House Churches in particular have come under pressure to conform or disband. For example in October 2016 leaked documents from Lu’an in Anhui Province, revealed plans to catalogue one of the district’s churches in an effort to get them to attempt to join the Three-Self Patriotic Movement or force them to disband if they will not. However, local authorities have targeted even churches and leaders from Patriotic Associations not to mention human rights lawyers who take up Christians’ cases. Following intensive negotiations between the Vatican and the Chinese government, in November and December 2016 four bishops were consecrated with both papal and state recognition. Consequently, the dioceses of Chagzhi (Shanxi Province), Ankang (Shaanxi Province), Chengdu und Xichang (both in Sichuan Province) gained either an “ordinary” diocesan bishop or a “coadjutor” (bishop with automatic right of succession). However, there were protests over the presence of Lei Shiyin, who was appointed bishop of Leshan without Vatican approval, at both consecrations. According to the Pew Research Centre, there were up to 70 million Christians in 2010, including more than 59 million Protestants and more than 9 million Catholics (in the case of the Catholic Church, many ‘official’ communities are loyal to Rome, with up to 90 percent of state-approved bishops and priests being recognised by the Vatican). 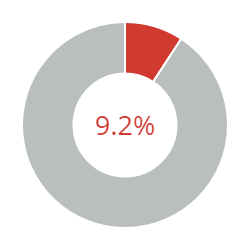 With evidence that Christianity is particularly attractive to the young reports indicate the growth of Christianity in China. According to some estimates, Christianity has more followers than the Communist Party. In themselves, such statistics explain the authorities’ suspicion of a religion which in their thinking always has the potential to become the rallying point for dissent if not outright rebellion. November 2015: Father Pedro Wei Heping, a 41-year-old “underground” priest, died on Friday 6th under suspicious circumstances. The clergyman’s body was found floating in a river in the city of Taiyuan, Shanxi Province. Authorities claimed he committed suicide, but friends of the priest claimed that it is highly unlikely that Fr Wei would have taken his own life. Father Wei’s family called on the Chinese government to thoroughly investigate the cause of his death. The priest had run the Tianzhujiao Zaixian Catholic website, which translated news from the Vatican – before it was shut down by authorities. Suspicions have been expressed that he was killed because of his opposition to the Chinese Catholic Patriotic Association. April 2016: Pastor’s wife Ding Cuimei died after being buried alive by two members of a church demolition team in China’s central Henan Province. According to reports a government-backed company went to bulldoze Beitou Church in Zhumadian, so a local property developer could develop the land. Pastor Li Jiangong and his wife Ding Cuimei stepped in front of the bulldozer to try and to prevent the demolition. One of the demolition experts called out: “Bury them alive for me, I will be responsible for their lives,” and a bulldozer pushed the couple into a pit, covering their bodies with earth. Pastor Jiangong managed to dig his way out, but by the time his wife was freed from the pit she had suffocated to death. Two members of the demolition team were detained as part of a police investigation in to events. On 25th April the authorities issued a report that designates the site for religious use and ruled that the disputed land where the incident took place belongs to the Beitou Church and its pastor. April 2016: Four priests were detained by authorities on Monday 2nd April. Two priests Father Joseph Hu and Father Paul Yu were subsequently released – but more than two weeks later (18th April) the others who were seized – Father Simon Zhang and Father Joseph Wang – had still not been returned to their parishes. Fathers Hu and Wang had previously rejected authorities’ demands to concelebrate with CPA priests. May 2016: House Church leader He Jiyi, was beaten by a group led by Shuangyu Villiage Party Secretary Zheng Hele. Pastor Jiyi was approached by the group after the Sunday service in Xialing Church and asked to withdraw a lawsuit that had recently filed, contesting an order for the Church building to be demolished. July 2016: A number of Catholics heading to Wold Youth Day in Poland were stopped from going by authorities. 2,000 young people from mainland China were expected in Krakow for the global Catholic festival that ran from 26th-31st, but a number of young people have had their visa applications rejected or were stopped by police at the airport minutes before embarkation. 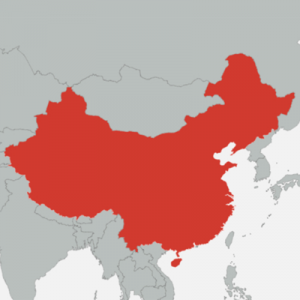 Priests from Beijing, northern China, and east-coast dioceses were also banned from leaving the country to attend – the ban affected both underground priests and members of the CPA. July/August 2016: Mengen Church was saved after authorities planned to demolish it and build a Buddhist temple on the site. Local official Pan Dingqun contracted an electrician to cut off the site’s electricity and water supply – but church members convinced the electrician not to refrain from doing so, before launching a petition that garnered 147 signatures. A Christian said: “[On 28th July] several Christians went into town to report this matter, because our church has all the legal documents… The town’s government personnel replied that they would conduct an investigation into this matter, but I am afraid they have collaborated [with the people who instigated the case]. The result will not likely be good.” Dingqun further discussed cutting off utilities with officials. September 2016: Following the death of Bishop Vincent Zhu Weifang on 7th September his coadjutor bishop of Wenzhou (Zhejiang), Peter Shao Zhumin was arrested by police and taken “on a trip”. His secretary Fr Paul Jiang Sunian, who is also the diocesan chancellor, was taken to Yunnan by police. Another priest was held in detention in a hotel in the provincial capital Hangzhou. Local police also banned members of the underground community from the funeral. Bishop Zhumin and Fr Sunian were released on 8th October. October 2016: Sisters, priests and laity from Anyang Diocese held a demonstration on Tuesday 18th in front of government buildings in Hexi District (Tianjin), asking for the return of Church property. Reports state that protesters were stopped by the security personnel and some nuns were beaten. The local government intended to demolish the building and sell the city-centre plot. Under Deng Xiaoping’s reform, Beijing deems that private property should be restored to its lawful owners, unless it is being used for purely social purposes. October 2016: Two House Church members – Wang Yao and Tu Yulei – stood trial in mid-October at court in a secret location, charged with “divulging state secrets”. The “state secrets” referred to an image of an official, confidential document describing plans to supress Huoshi Church which was posted online. December 2016: Christian woman Ma Huichao was sentenced to three years in prison on Friday 30th for holding a Bible study in the western Xinjiang Province. An anonymous Christian said: “It was not even a formal gathering. There were no pastors or preachers, only a few people reading the Bible at [her] home. In Urumqi, there are many [Christians] who gather in homes. Why is it possible that they have no problems?” Charged with “gathering a crowd to disturb public order” her lawyer, was not allowed to enter a plea of “innocent” on her behalf. December 2016: Vital organs including the brain and heart were removed from the corpse of Christian pro-democracy and human rights activist Peng Ming, without permission from his family. According to the official report Mr Ming collapsed and did not respond to resuscitation attempts. His family were refused an independent autopsy. Officials interviewed Ming’s brother for six hours in an attempt to force him to give permission to remove tissues, saying that “for scientific experiments, we need to cut a little bit of abdominal muscle from Peng Ming’s body”. Despite family refusing permission, authorities dissected Ming on 5th December and removed organs. January 2017: Dali Christian Church in Henan Province, which is part of the official Three-Self Patriotic Movement, was forcibly entered by men carrying clubs on Friday 27th. They locked several Christians, including the Church’s acting director, in the reception and confiscated their mobile phones. They proceed to destroy church property, before a tractor demolished part of the building. March 2017: Printer Li Hongmin received a 10-month sentence and was fined ¥10,000 (US$1,451) for printing Christian literature by a court in the southern Guangdong Province on Monday 27th. He was accused of “illegal business operations” after officials raided his home and his printing workshop in 2016 – where they found 110,000 Christian booklets. The judge said that Hongmin had committed a “grave crime” but said the sentence was “lenient”. The sentence was counted retroactively, as Li had been in police custody 2nd June 2016. 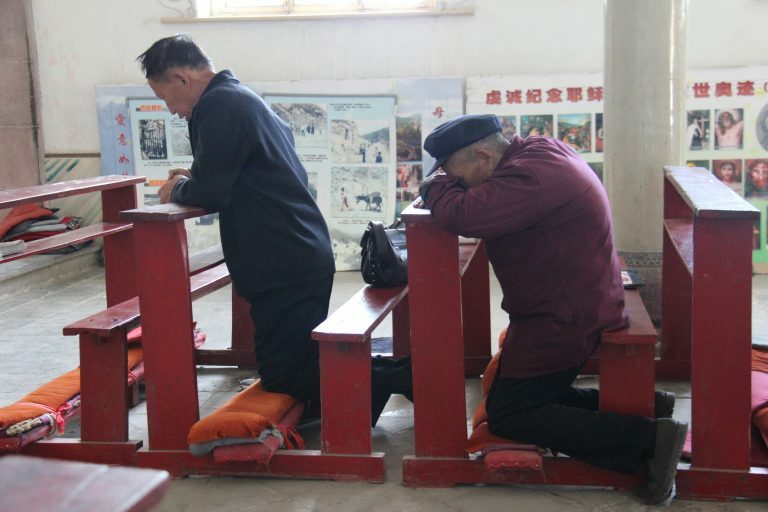 April 2017: Around 100 security and special police officers raided a conference in the north-eastern Province of Liaoning being attended by more than 40 House-Church pastors on Wednesday 26th. Three pastors were taken away from the “Unity in Christianity” conference, while the others were locked in a room and questioned both individually and en masse. The interrogations lasted several hours. Pastors were accused of participating in illegal gatherings without government permission. April 2017: A Christian man and woman suffered spinal fractures and various other injuries after defending a church in Wenzhou in the coastal province of Zhejiang Province on Friday 21st. Protestors were trying to prevent authorities from installing surveillance equipment in Banling Church to allow authorities to closely monitor religious activities. During the clash the two Christians were thrown from a wall in separate incidents, both sustained neck and spinal injuries. The man was initially refused hospital treatment forcing his family to take him back home, but when the pain became excruciating during the night he was finally admitted. Several other protestors were hospitalised during the conflict. One woman, Zhang Lingmei, was taken into police custody. May 2017: Underground Catholic Bishop Peter Shao Zhumin of Wenzhou (Zhejiang) disappeared on Thursday 18th, after a 9 am meeting at the city’s office for religious affairs. It is not the first time in 2017 Bishop Zhumin has been detained by authorities: in April he was taken in to custody a few days before Easter. Catholicism in Wenzhou Diocese is sharply divided, with estimates suggesting there are about 120,000 in the Patriotic Association and more than 80,000 in the Underground Church with 50 priests equally split between the two. The bishop’s 90-year-old mother has had repeated requests to see her son denied. June 2017: After four years under house arrest, a blog entry by Bishop Thaddeus Ma Daquin, the Auxiliary Bishop of Shanghai appeared to show the bishop reconciling with the CPA. The bishop had been detained since July 2012 when he stood down from his role in the Chinese Catholic Patriotic Association – stating that he needed to spend more time on pastoral work following his episcopal appointment. The blog stated: “There was a period I had been tricked by the outside, and made mistakes by words and deeds against the Patriotic Association.” He added that the church must “adapt to the contemporary times and the society; and properly handle its relationships with the Party and the government, with the society, with other religions, with religions in foreign countries, and with non-Catholics, and certainly including state law and Church canons.” A number of sources in China question whether he wrote the blog entry, noting that his weibo (Chinese version of twitter) account was deleted earlier in 2017. June-July 2017: Relatives of imprisoned Christian leader, Zhang Shaojie reported that the minister is “barely alive”. His daughter Esther Zhang Huixin told CSW: “They cruelly torture my father. He’s unable to see the sun during the day. He’s deprived of sleep for 24 hours at a time. The prison gives him only one steamed bun a day and intentionally starves him.” Following a meeting with Pastor Shaojie on 7th July 2007, his sister, Zhang Cuijuan, described him as “like a bag of bones”. She added: “It’s painful to see such a good person being persecuted. I don’t know how long he can persist.” She added: “He was in a terrible mental state… He said that he is forbidden to sleep during ‘strict supervision.’ He was depressed, and I had no way to help him.” The 52-year-old minister was convicted in July 2014 by a court in Henan province, central China, for fraud and “gathering crowds to disturb public order”. According to the USCIRF 2015 report Pastor Shaojie “was convicted on trumped-up charges and sentenced to 12 years in prison”. China Aid said the authorities are trying “to cover up religious persecution with fabricated criminal charges against an innocent church leader”.